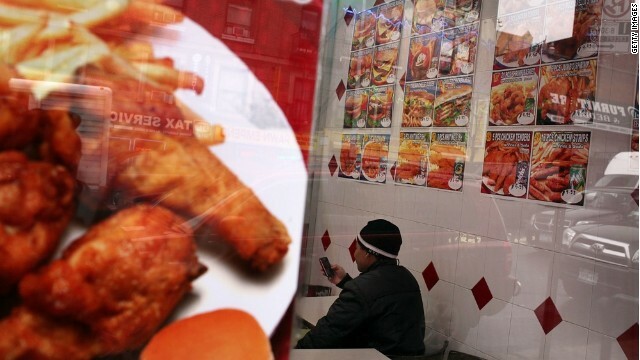 A five-year-old ban on the use of trans fats in New York City restaurants has sharply reduced the consumption of these unhealthy fats among fast-food customers, a study by city health officials has found. In 2007, the New York City Board of Health, spurred on by the administration of Mayor Michael Bloomberg, adopted a regulation that forced restaurants to all but eliminate the use of partially hydrogenated vegetable oils and spreads, the main sources of trans fats in the U.S. diet. The ban appears to have had the intended effect. A new analysis of thousands of lunch receipts, collected at fast-food chains before and after the ban went into effect, estimates that the average trans fat content of customers' meals has dropped by 2.5 grams, from about 3 grams to 0.5 grams. Additionally, the proportion of meals containing less than 0.5 grams — an amount generally considered negligible — increased from 32% to 59% between 2007 and 2009. For the rest of the story go to CNN Health.com.